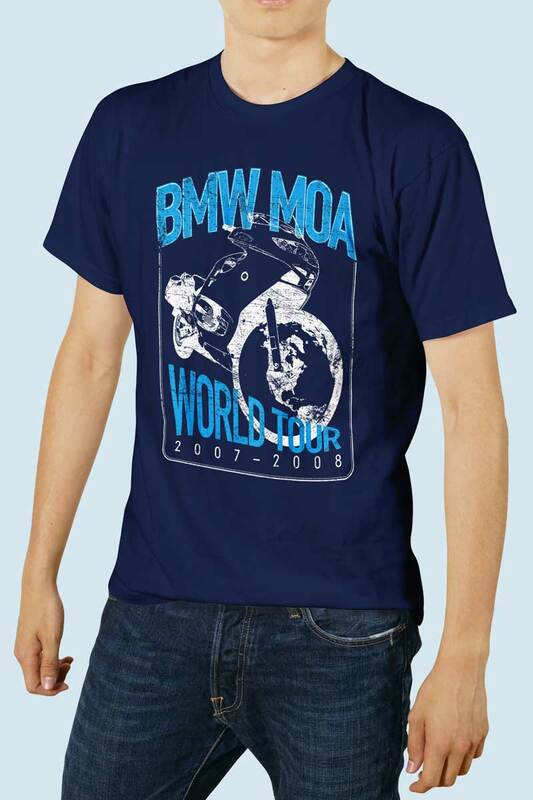 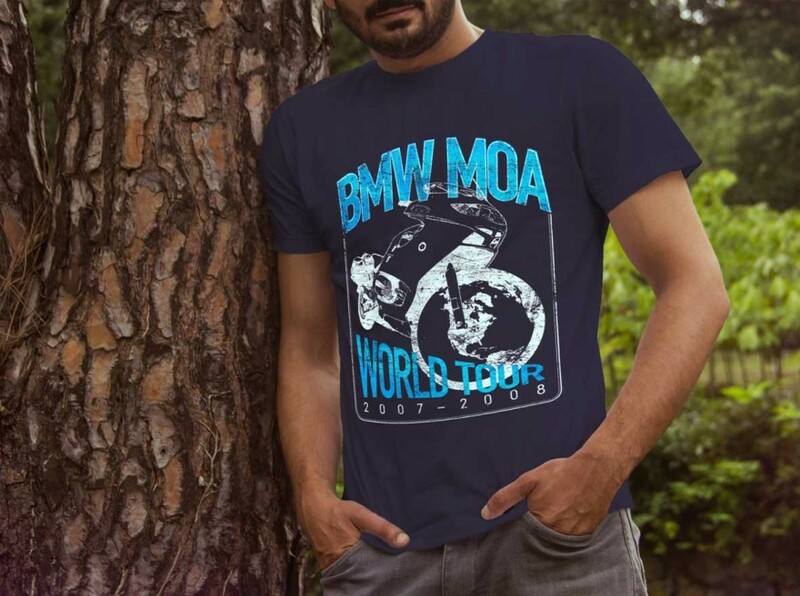 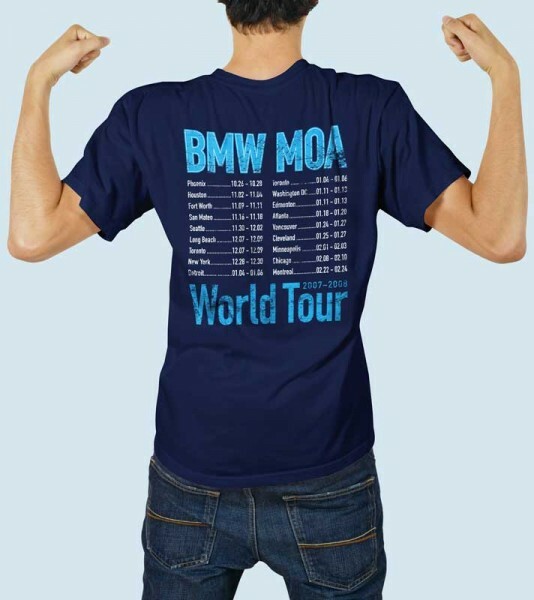 The BMW MOA “World Tour” was a promotional item given away to individuals buying a membership at one of 18 international motorcycle shows. 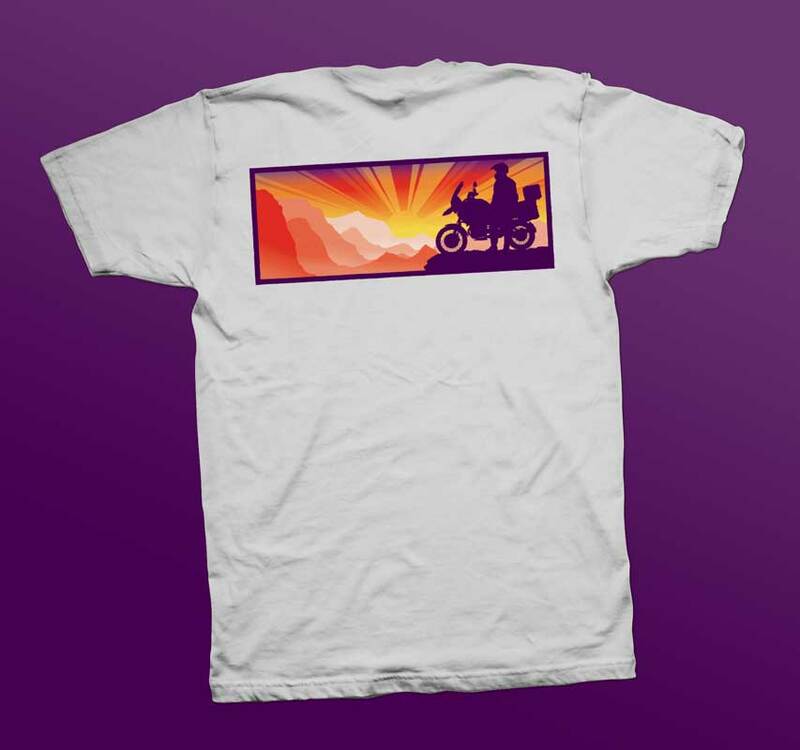 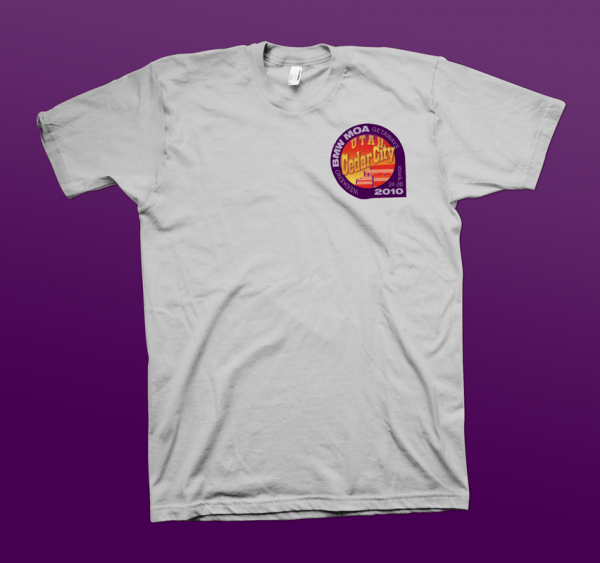 The style is reminiscent of a vintage concert T-shirt with a motorcycle rolling on a world wheel globe on front and a list of “concerts” with dates on the back. 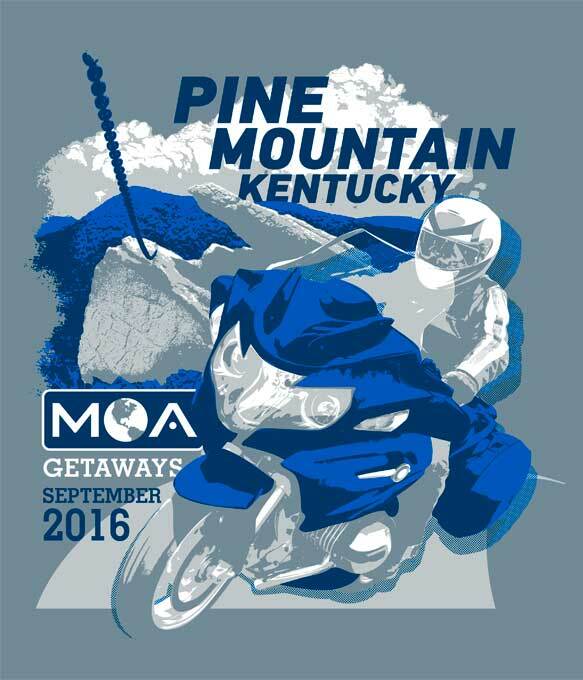 Next, two logo/illustrations were created for attendees of the MOA’s Weekend Getaway series of events. 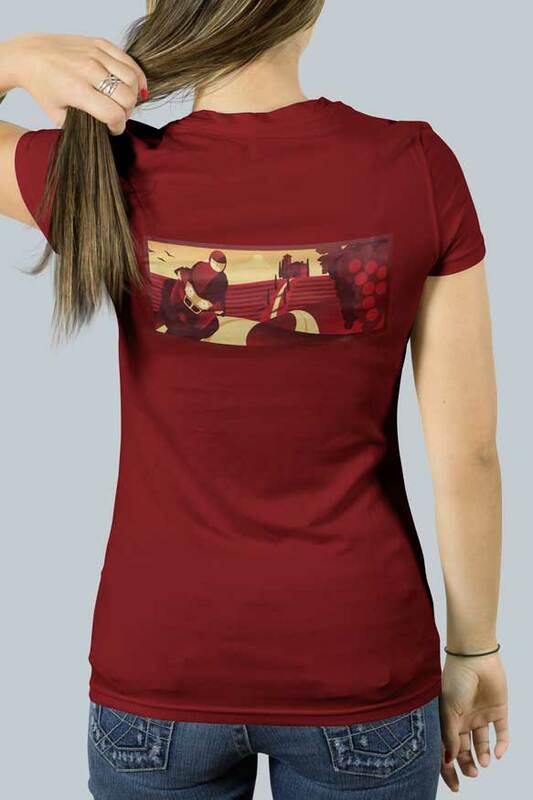 While individualized for each event, the basic design of a circular logo on the front and rectangular art on the back were used throughout the series of events. 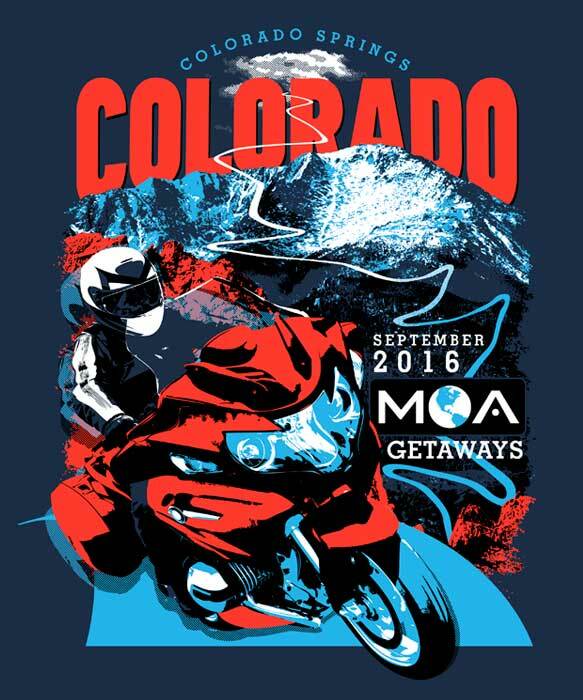 The two parts of the art/illustration were also combined into a singular logo for event marketing. 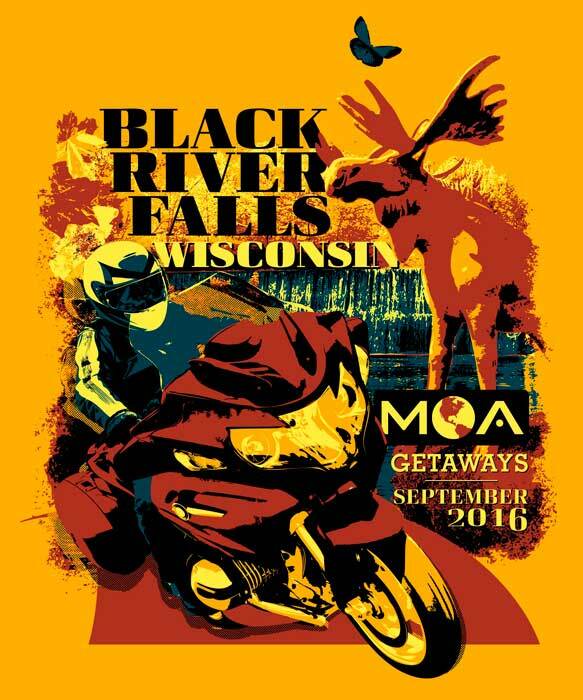 Finally, another series of T-shirt designs were created for more recent MOA Getaways. 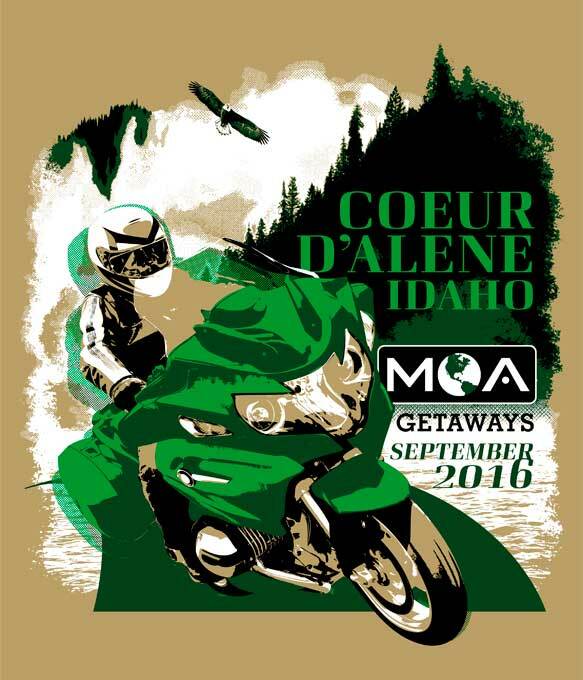 These used individual text and backgrounds for each event but the main motorcycle image was repeated thereby reducing the overall cost. 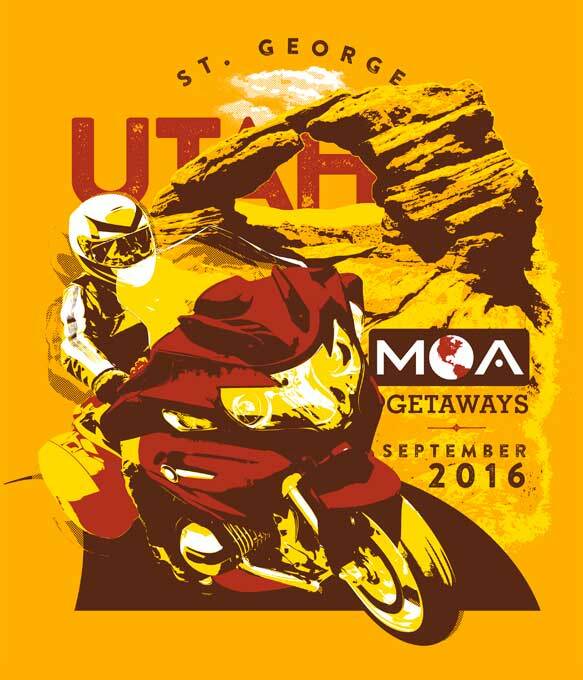 That same year, artwork was created for the annual MOA International Rally. 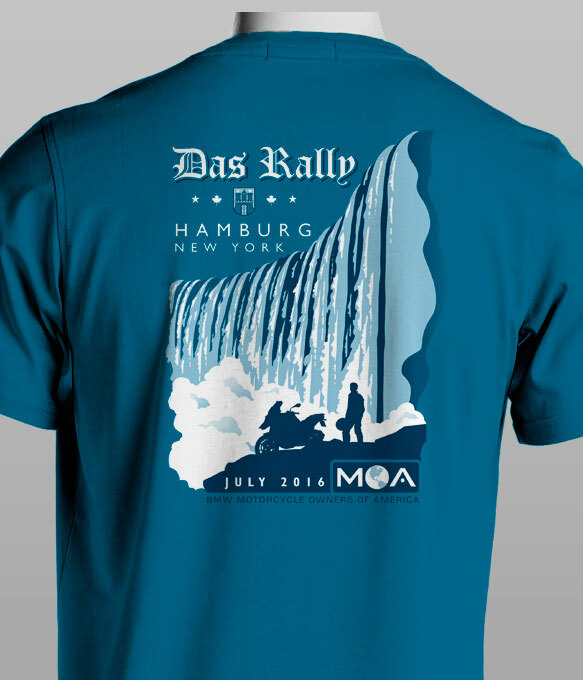 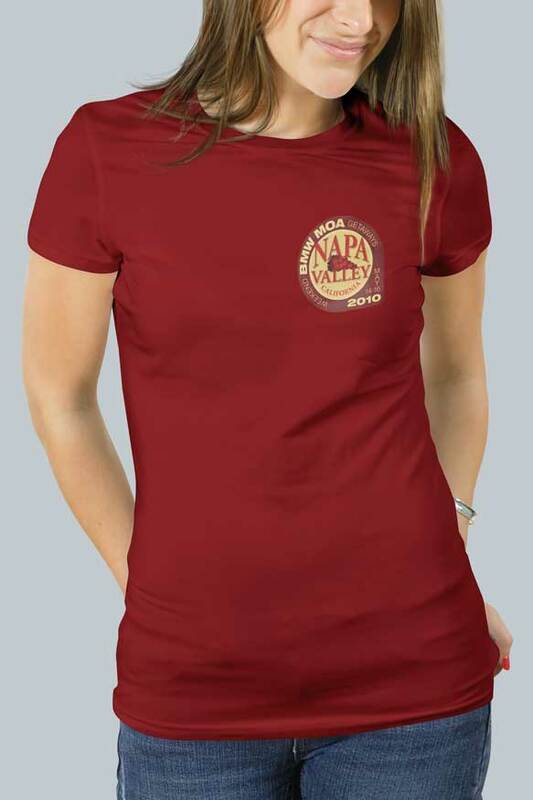 Named, “Das Rally,” this T-shirt was sold to the 7,000 attendees to help fund the association.